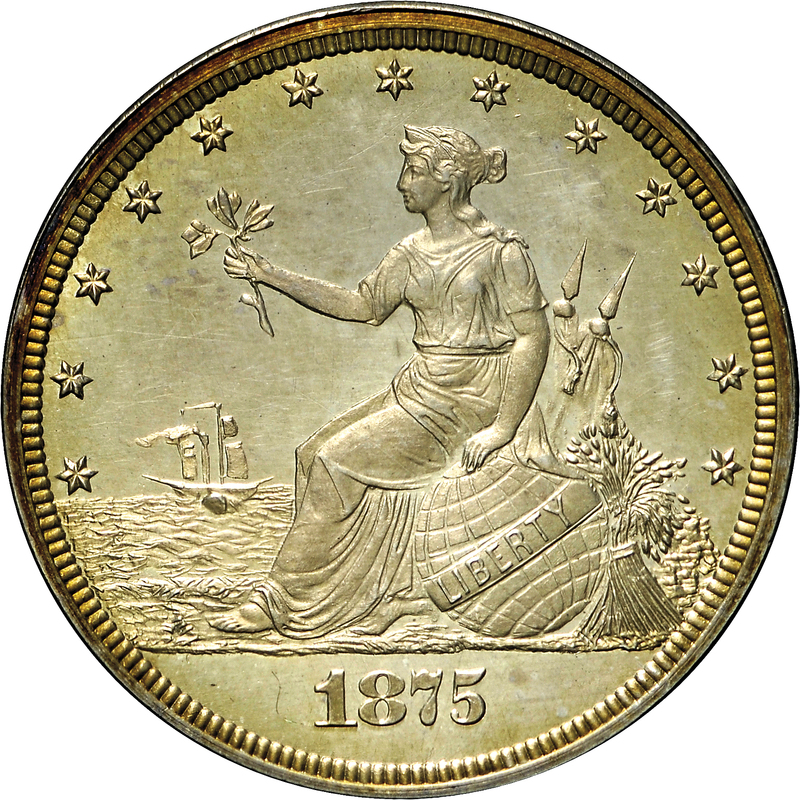 This is a very popular obverse design featuring a seated figure representing Liberty, next to the ocean with a steamship in the background. The direction of the wind seems to be contradicted by the smoke, as the sails are billowed in the forward direction and the smoke trails the ship. But if a ship were traveling at a greater speed than the wind, the smoke would, in fact, trail the ship. This pattern was acquired from New Netherlands Coin Company where the cataloguer of their June, 1970, sale also noted the smoke is trailing the ship, against the wind. 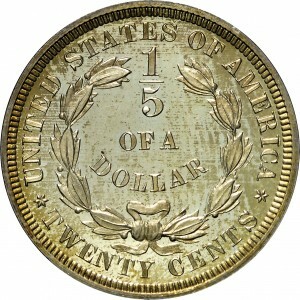 From Numismatic Gallery's 19th Sale, December 1942, Lot 652; New Netherlands 61st Sale, June 1970, Lot 55. 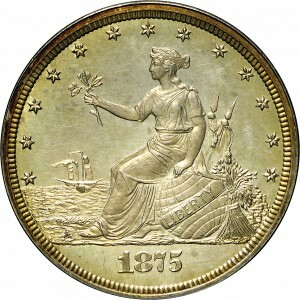 Liberty seated to left, left hand on globe, ribbon on globe reads LIBERTY, olive branch in upheld right hand, furled flags and wheat sheaf behind globe, sailing vessel in background on open sea, 13 stars around, date below. 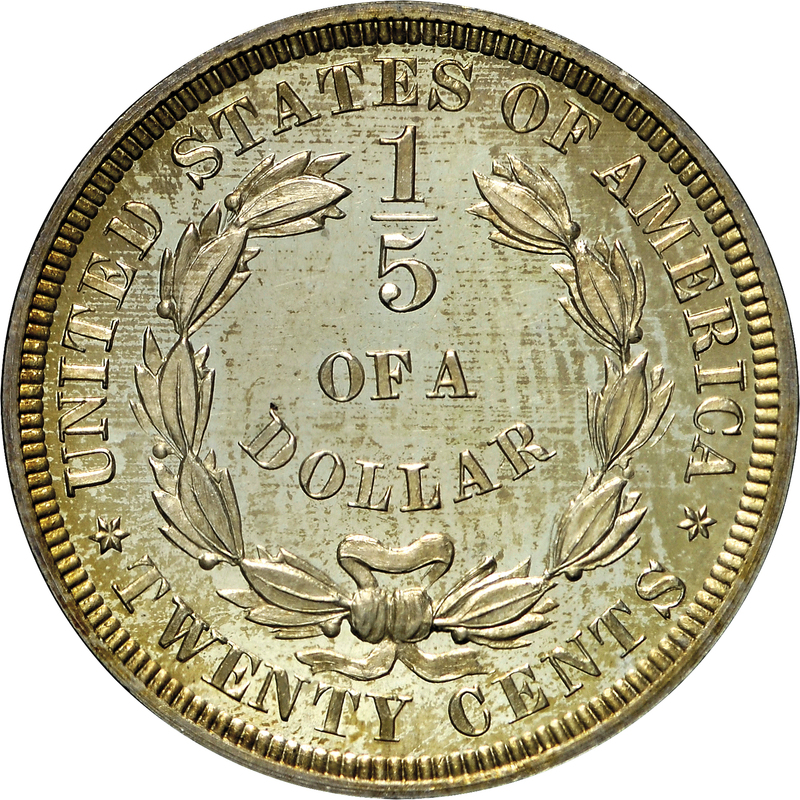 UNITED STATES OF AMERICA TWENTY CENTS around a laurel wreath, 1/5 OF A DOLLAR on three lines within wreath.